One of the most beautiful hand creams around. I love everything about Aesop: from its clean, fuss-free aesthetic, the stylish font that covers the tubes and bottles, to its natural scents. I am hooked on its hand balms. They smell great – nothing artificially cloying – and sink easily into the skin. No greasy afterfeel and waxiness to deal with. The nutritious natural ingredients make me feel good about applying the cream on my skin too. 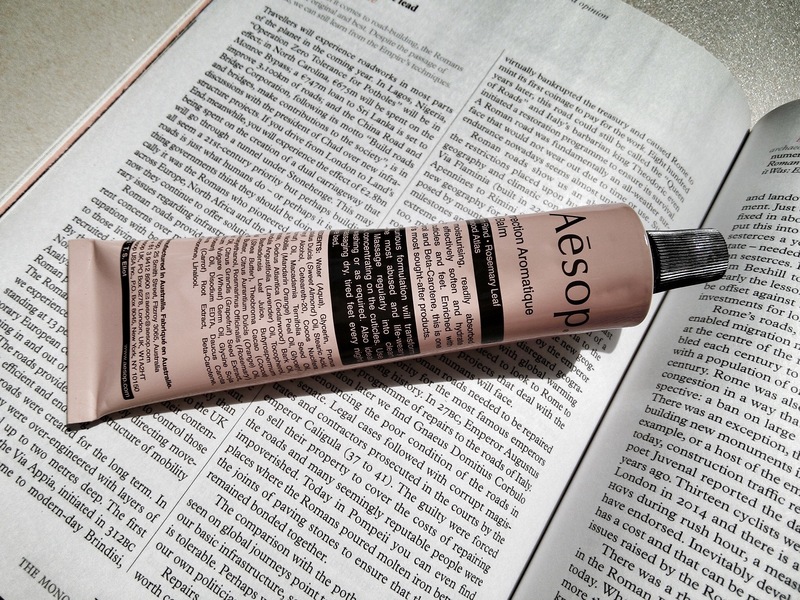 I get an eczema breakout whenever I apply scented creams and lotions; so far, I have not had any eruptions with this Aesop one. I like to keep a tube handy at my work desk to moisturise my cuticles and legs.